Just five years ago, the FDA approved BOTOX® for the treatment of migraines. People with chronic migraines can experience these severe headaches almost every single day, which diminishes their quality of life. When this new treatment was released, many migraine sufferers were skeptical, but they tried it anyway and were surprised at how effective it was for them. They loved how the treatment could help them in other ways, such as preserving their youthful appearance. If you’re a migraine sufferer, you may find that BOTOX® is not only great for making you feel better, but for looking better too. Migraine sufferers often experience severe headaches that prevent them from working and enjoying life. Many of the migraine prescription medications they are given do not help their pain because once the headache starts, it can be difficult to get rid of it. Many sufferers have found relief from preventative medications, but they usually come with harsh side effects. A few years ago, two Phase 3 Research Evaluating Migraine Prophylaxis Therapy (PREEMPT) trials tested BOTOX® on 1384 patients. After six months of treatment, those who received the injections experienced a reduction in migraine symptoms (8 fewer days than their previous average). As treatment continued, subjects reported fewer episodes after each cycle. It’s unclear how the BOTOX® works, but some experts believe that it stops the release of peripheral nociceptive neurotransmitters, and that can positively affect the central pain processing system which may be responsible for the onset of migraine headaches. The original intention of BOTOX® was for wrinkles. When it is injected into the muscles of the face, it blocks the signal from the nerves to the muscles. This prevents the muscles from contracting, which relaxes them, smoothing away facial wrinkles. 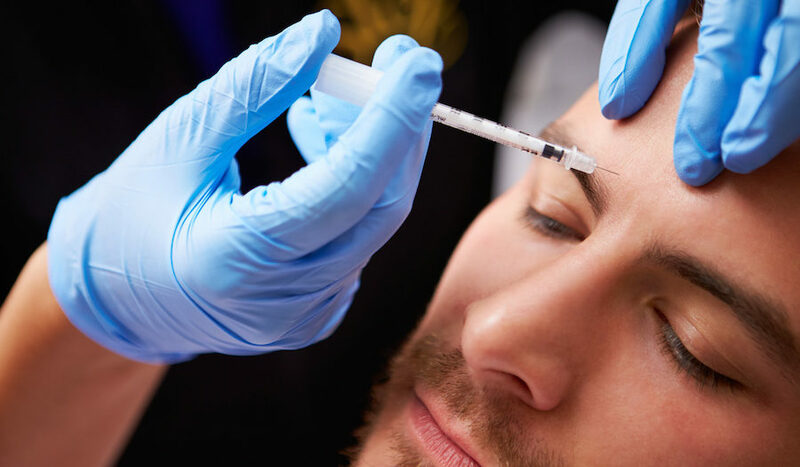 Most people request BOTOX® Cosmetic for wrinkles on their forehead, outer corners of their eyes (crow’s feet), between the eyebrows (elevens), and around the mouth (frown lines). Many people suffering from migraines wonder if they receive BOTOX® for their headaches, can they also have injections for their wrinkles? Yes! This is possible since the same treatment is used. Many patients that come in for BOTOX® injections for headaches also request to have treatment to other areas of their face. Since the treatment for migraines needs to be done every 12 weeks to reduce the frequency of the migraines, many patients find this to be the perfect schedule to address their wrinkles as well. If your doctor has spoken to you about the possibility of BOTOX® for your migraines, contact us about receiving your treatment from us. We would be glad to set up a consultation to discuss how you can benefit from BOTOX® Cosmetic treatment. *BOTOX® and BOTOX® Cosmetic are registered trademarks of Allergan, Inc. The information on this page is not intended to be used as medical advice in any way. Always consult with your doctor for any health related concerns.